Good job, Anthony the moderator. Keep it up!!! My favorite musical style/s: ROCK! My drum gear: Just piecing together a kit now that I'm settled in Sydney. I brought my 6 1/2" Maple Caramel Sunburst Tama Snare from L.A. with me. I love that noisy thing. I'm a proud drummer because: It's great to be the beat monster in the band. People always watch drummers. Aside from lead singers, drummers get the best babes! Ei sir Dio, di ba po dapat yata sticky thread ito hindi announcement? La lang po naisip ko lang. Oops sorry di ko napansin. My favorite drummer/s: Mike Portnoy, Scott Rockenfield, Mark Zonder, Vic Mercado. My drum gear: wala pa... bibili pa lang..
My favorite drummer/s: dave weckel, dereck roddy, bernard purdie, dennis chamber, buddy rich, eloy casagrande, thomas lang, simon philips,mike portnoy, jason rullo, and many more..
My drum gear: p122tw powershifer double pedal.. I'm a proud drummer because: playing drums is my passion.. I've been a drummer since:1991-97...began to play again as a "serious hobbyist" this Jan.'06 when I got my first complete drumkit. 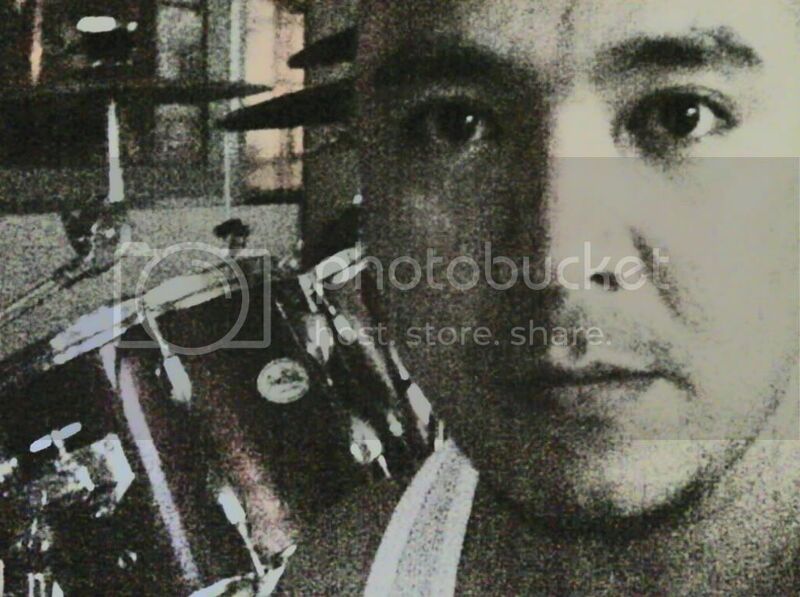 I play drums for: HeardUnder in 1991-97...not in a band right now. Prog Rock,World music,Ethnic, Funk, blues, & Jazz these days. Blues,Jazz,World/ African-derived music,Sesame street,my Mom's record collection,Soul music, breakdancing, Ethnic music, & my childhood experiences. I'm a proud drummer because: It's something I learned to play all by myself without the benefit of having the actual drumkit to play on. My Favorite Musical Style/s: Progressive rock/instrumental, Funk. My favorite drummer/s: Dennis Chambers, Virgil Donati, Vinnie Colaiuta, Steve Smith, Hilary Jones, Mar Dizon, Anthony DIO!!! I'm a proud drummer because: Its very Experimental... no scales ... no chords.. very free!!! My favorite musical style/s: Popjazz, funkrock, alternative, RnB. My favorite drummer/s: Carter Beauford, Gregg Bissonette, Dennis Chambers, Dave Weckl, Dave Abbruzzessee, Vinnie Calaiuta, Gary Novak, Simon Phillips, Neil Peart, Jose Pasillas, John Blackwell, Tony Royster Jr., Chad Smith, Chad Sexton, Phil Collins, Neil Peart, Aaron Spears, Gerald Hayward, Manu Katche, Harley Alarcon, Frank Benitez. My drum gear: Fernando drumset. 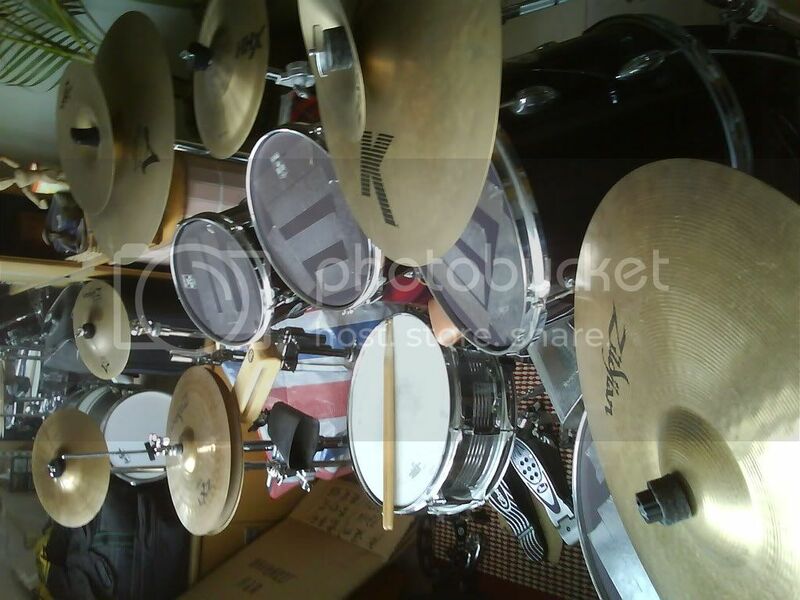 Pearl Piccollo snare, Sabian and Wuhan cymbals, Tama Camco double pedal, Shalloch bongos. I'm a proud drummer because: Drummers are the energy and the leader of the band. There is nothing like it. 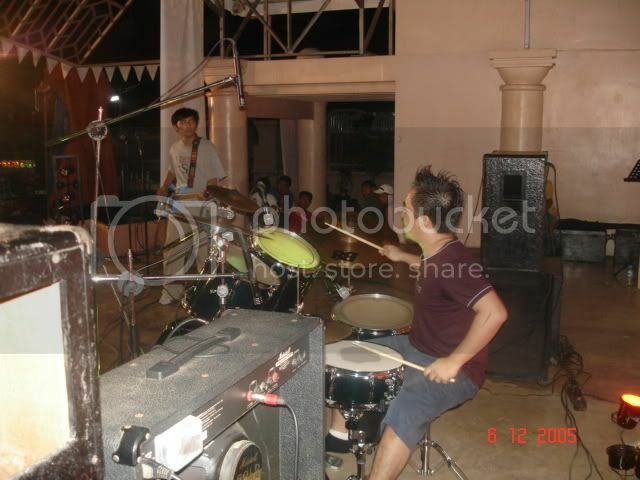 Additional info about myself: A Call Center Agent by day in Pampanga and a drummer by night. I don't have one right now because I sold it a couple of years back. It gets me high when I see people nodding to my beat and I had actually trained a few beginners like myself the basics. My dream in music would be actually recording a full length album of my band and getting into the national music scene. I am currently a propreitor for an Internet Cafe in our area, I also had produced two major battle of the bands here in Dagupan in 2002. Right now I am currently an associate producer for our own indie company here in Pangasinan called Orange Project Records. sir are you related to Miguel Maghacot? musikero din yun. My favorite musical style/s: Rock, Jazz, R&B, funk, etc..
My favorite drummer/s: Dave Weckl, Virgil Donatti, Carl Albrecht, Bagets, Franklin Benitez, etc..
My musical influence/s: United, Lincoln Brewster, etc.. I'm a proud drummer because: I put my confidence in the God who gave me the grace to be able to play for Him. Additional info about myself: I play keys for the church. Thanks to these drummers who posted. I hope we can all remember each other's names and info. I also hope that I didn't misspell any name in the list. If your name and username/nickname are mispelled, you have the right to complain to me via personal message hehehe! I'll gladly correct it. Thanks for appreciating this thread. Keep 'em coming! kewl. and sana meron tayong eb ulit soon. kasi yung dating drummer ko nakasali sa eb niyo dati. 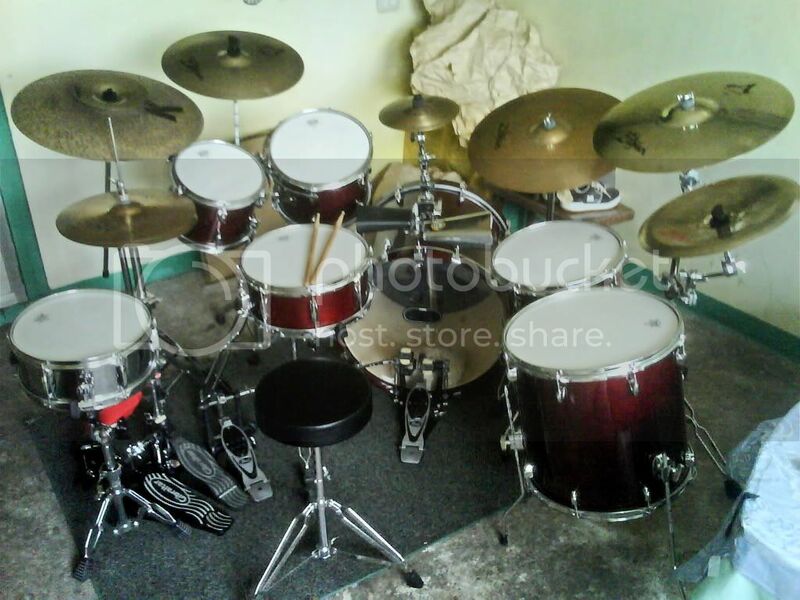 My drum gear: Naka post sa "SHOW YOUR GEAR" topic.. Just a Tama Rockstar, daming cymbals.. then may Tama Swingstar para pang gigs. Then yung maliit na groove percussion. 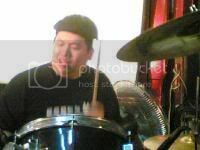 Additional info about myself: A freelance drummer dito sa NY although ngayon concentrate muna ako sa pamilya since my kids are now both in school. My favorite musical style/s: funk, jazz, pop basta groovy! Additional info about myself: alam nyo na iyon! read INQUIRER hehehehe. i mostly wear plain colored shirts and jeans, i sleep late and wake up late, i'm into boxing i love strawberries. i want to live in baguio. i have a basset hound named KILAY, my wish is to have world peace hahahaha wala lang nangungulit na ako! Buddy Rich, Gene Krupa, Dennis Chambers, Neil Peart, Steve Smith, Joe Franco, Mike Portnoy,Thomas Lang, Kenny Aranoff and Carmine Appace. Lahat ng aking naging music teacher. Kaya eto naging music teacher din ako. I still love drummin @ 30! I offer it back to God. My favorite drummer/s: vic mercado,carter beauford,dave weckle,dennis chambers,akira jimbo, tony royster jr.
My drum gear: a custom splash, z planet kit, regal kit, dennis chambers artist stick, stick bag, ear muffs. I'm a proud drummer because: talent ko to! bihira ang may ganitong talento! Additional info about myself: pasmado ako kya madalas akong nakakahulog ng sticks..madulas kasi eh.. aside from drums mahilig akong gumawa ng mga grphics,drwings at maglaro ng computer games..
Jojo mayer. Madaming magagaling pero kay Jojo mayer tlaaga ako napapa-WOW. Kamukha nya yung kontrabida sa birthday girl at payat sya. ahehe. Local, si Vic Mercado, Mar Dizon, and Frank Benitez. Mga friends ko pag nakikita ko silang tumugtog. Sa bands naman I like listening to Oasis, Greenday, 3eb, eheads, beatles and more. Kung may maidadagdag, gusto ko ng 10" K splash, Pearl Eliminator single pedal (wag muna double), regular K hats or HHX stage. Tapos yung K custom dark ipapa-modify ko sa cymbalsmith (johan sa UK ata) para gwin syang darker and full sounding, hindi yung ping ping lang at ringy wash.
Kasi nakakatugtog ako kahit papano. I still have a long way to go and lots of bad habits to unlearn, and basics to re-learn. Hmm... mejo slow learner talaga. Other things that take out what could be my drumming practice time would be surfing the net and participating in these kind of forums, panonood ng series on dvd or anime, dota, at yung number 1.... trabaho. LP Black beauty cowbell Jr. I can express myself musically with my drums and I can make everybody groove with it. Shuteyeview album "Day/night" is now available in Odyssey branches in the metro. Grab a copy now!!! various bands since the Dredd, Atrium, Iron Mike days...now with 1sa (recently signed) and solo artists. I'm a chemical engineer by education, a company executive by profession; I have sired 2 boys, born on the same day, from 2 different women. I run a car shop along Edsa to pay utility bills. I also love to race cars and play golf. I thrive in a very fast paced lifestyle. My favorite drummer/s: thomas lang, virgil donati, neil peart, simon phillips, felix lehrmann, chris adler, tony royster jr, tony williams, buddy rich. My musical influence/s: Gospel, progressive rock, metal, jazz, fusion, r&b, alternative, trance. My drum gear: Gretsch 5 piece fusion drum set 14" snare,10"&12" toms and 14" hanging tom with zxt pro titanium cymbal set with flash splash and 16" CHINA thrash zildjian. I'm a proud drummer because: I'm in God's Drumline.